Great days. Frankly, I don’t like thinking about them cuz it makes our present reality seem — well, like a betrayal of that struggle, or like its tragic failure. As you know, last year, I was privileged to visit and photograph the now-abandoned old Cleage printers office. Even in its present disastrous state, I could still feel the vibrations of those days. Made me proud to know and be trusted by your family (a trust that I’ve never felt worthy of). Thank you, Cleage family, for EVERYTHING that you did and tried to do. And thank you, Kris, for making such a wonderful record of your family and its remarkable (mostly unheralded and misunderstood) contributions. I doubt that I’ll live long enough to see scholars get it right! Paul! It’s great to see you here. It makes me sad for the same reason. I’m so glad you and my son James did that tour of important places. I need to do some more composite photos using them. If you and Jan take that trip back in time, I’m joining you! I hadn’t thought about you using the photos that James and I shot to make more composites. Wow. If we go back in time, I’m going to stop in 1971 and stay there. After 1972, everything seemed to go south. Good intentions, for sure, but it didn’t end well. As hard as they were, my favorite years were from 1963-68, maybe including 1962. So much hope, so much possibility. Ah, well. Oddly enough, I moved out of Detroit in 1972. We actually went south. 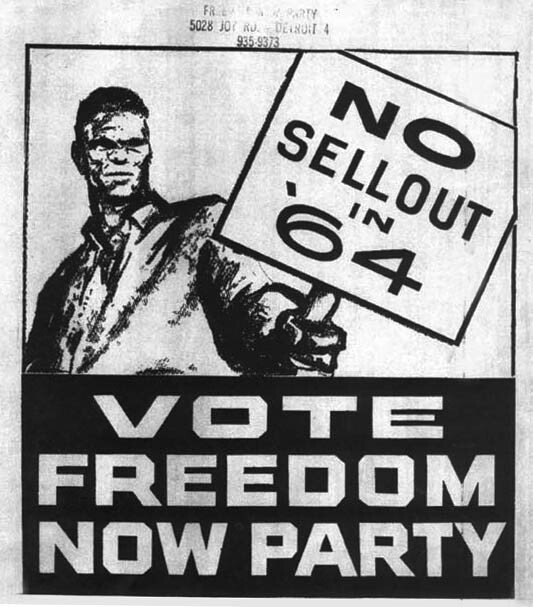 1962-1968 are my favorite political years for Detroit too. What treasures! Thank you so much for sharing them with us! 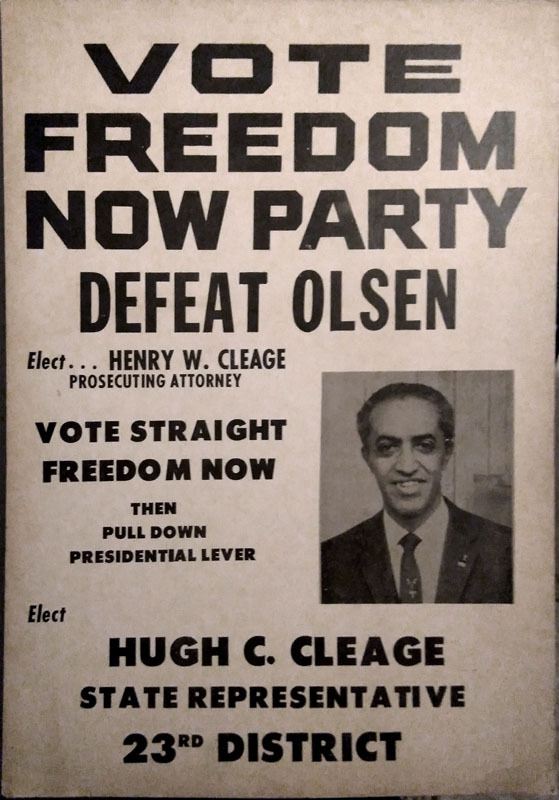 I remember the freedom now posters for Hugh, Billy Smith and my dad; they were tucked away in our dining room when I was a child. Dad used to talk about these times; your post reminds me of him. Do you still have your father’s posters? I wonder why they weren’t framed and hung on the walls of our homes! Yes, I still have a couple of my dad’s posters. You are right; they should have been framed and on display. I will have to work on that. Do you have one of your dad? I don’t recall ever seeing one for him. I only have the three above. I don’t know why there seem to be none for my father, or Henry or Louis. Strange. I seem to remember seeing posters for other people at some point–Lonnie, Louis, Henry? I think that the only three I have are the same ones you have posted. I wish I had asked my mother what happened to all of the rest. It is strange–a mystery that cannot be solved. So much stuff just got thrown out. I do have some of the Illustrated news ads that are like little posters. A very timely post – what with Tuesday, November 6th on the near horizon! 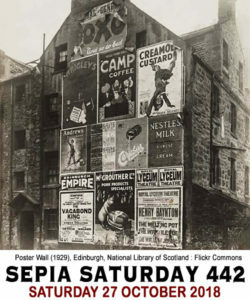 Posters were often just thrown away after an event or a political campaign. Yet such ephemera is important as potent evidence of the times. In Britain this century, we have had local and general elections, plus referendum on Scottish independence, leaving the European Union and introducing proportional representation for the UK Parliament. I was involved with the regional archive centre in collecting leaflets, posters, election addresses etc on my local campaigns, and so preserving them for future researchers. Thank you for highlighting in a personal way the significance of such material. Like old newspapers I find them fascinating. So do I. We used to have a lot more, but somewhere as we moved around so much, they got lost. Wish I had kept some things more carefully. I’d never heard of the Freedom Now Party. What a great post! How I wish someone would start a new political party now. I always learn from you. And, yes, so timely with the election on our doorstep and the incidents of gerrymandering and voter suppression or oppression – not to mention the threat of hacking. Even if you didn’t follow the best practices for conducting an interview, you have this conversation and his voice recorded. 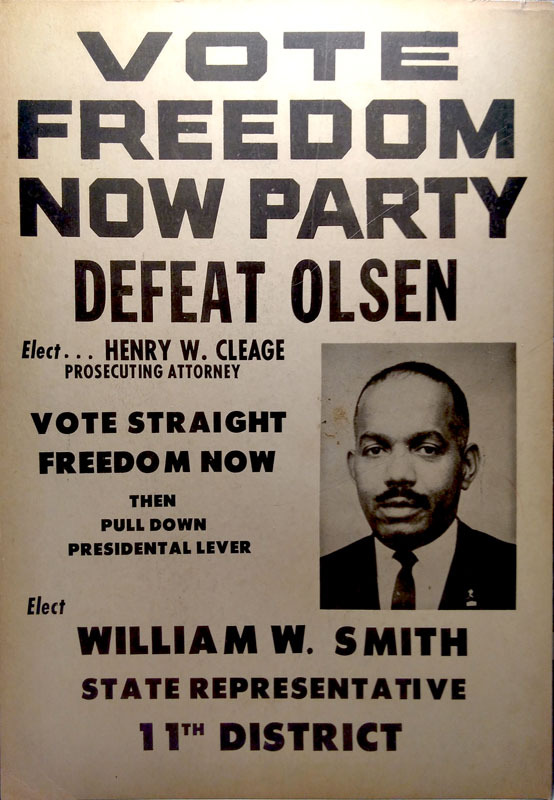 Political posters must be one of the more difficult ephemera to collect. Though many were produced, they were only visible to the public for a very few weeks. And posters for losing candidates had absolutely no value on the day after the election. My father-in-law who lived in London was a committed saver and never threw anything away. 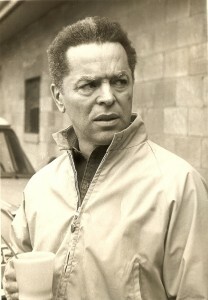 After his death his daughters discovered a box filled with old labor party ephemera like posters and flyers. One daughter, a university history professor, recognized it as a valuable collection of historic British political material. If was sorted into order and donated to a local history society for preservation. And absolutely fabulous and timely post about a pivotal period in U.S. history. Although there are background noises in the audio, they seem to add rather than detract from the interview. This is family, after all — and to hear the comings and goings of your children and other relatives while you and Henry are talking brings home in a personal way how important and inseparable politics is too a family’s daily life. 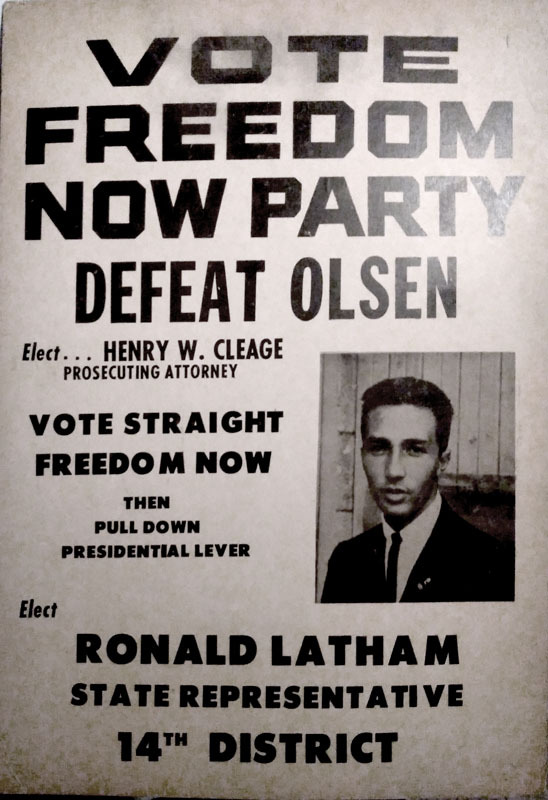 The posters are wonderful – and make me want to learn more about the Freedom Party. They also make me realize the importance of saving posters from current campaigns.